The 3Flex surface characterization analyzer developed by Micromeritics Instrument is a fully automated instrument that can perform chemisorption, physisorption, micropore and mesopore studies with excellent resolution, precision and data reduction. The three-station instrument (Figure 1) delivers versatile and excellent performance. 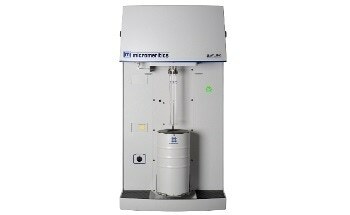 It can also be used for high-throughput surface area analysis. Each analysis station can be upgraded from mesopore to micropore capability, with the option of designating a single station for chemisorption analyses. All analysis stations can be easily configured for krypton analysis of materials with low surface areas. The 3Flex includes vapor sorption capability as a standard feature. With three configurable analysis stations and a small footprint, the instrument not only saves additional bench space, but also eliminates costly investment in multiple systems. The 3Flex instrument is suitable for characterizing activated carbons, zeolites, adsorbents, MOFs and a wide range of porous and non-porous materials. Its design includes hard seal valves, metal seals, a cold cathode and Pirani vacuum gauges. Advanced software complements the hardware and continuously monitors instrument status. These features enable 3Flex users to carry out adsorption experiments that were formerly impossible in multi-port instruments. Users can also characterize three samples concurrently while each sample can utilize a different adsorptive. For instance: zeolite 4A on sample port 1 uses hydrogen (H2), zeolite 13X on sample port 2 uses nitrogen (N2) and zeolite 5A on sample port 3 uses argon (Ar) (Figure 2). Figure 2. Characterization of three samples, with each sample using a different adsorptive. The 3Flex vacuum system combined with minimal system volumes enables quick gas supply changes while maintaining a high level of cleanliness. This capability is a standard feature available on all 3Flex surface characterization analyzers. 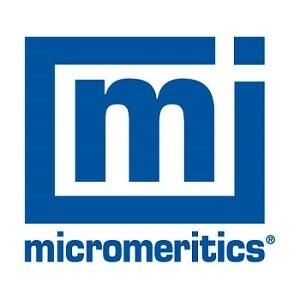 The new capabilities of the Micromeritics’ 3Flex surface characterization analyzer make it possible to analyze three samples simultaneously and using different conditions. With just a single click, the instrument delivers a range of information that enables the user to maintain it in good operating condition while also providing real-time analysis views.